Guardiola: "I hope we can be champions next week!" Borussia Dortmund's victory at VfB Stuttgart may have delayed FC Bayern München's title celebrations for another week, but Pep Guardiola and his troops sense the Meisterschale will soon be theirs after a hard-earned 2-0 victory at Hertha Berlin. 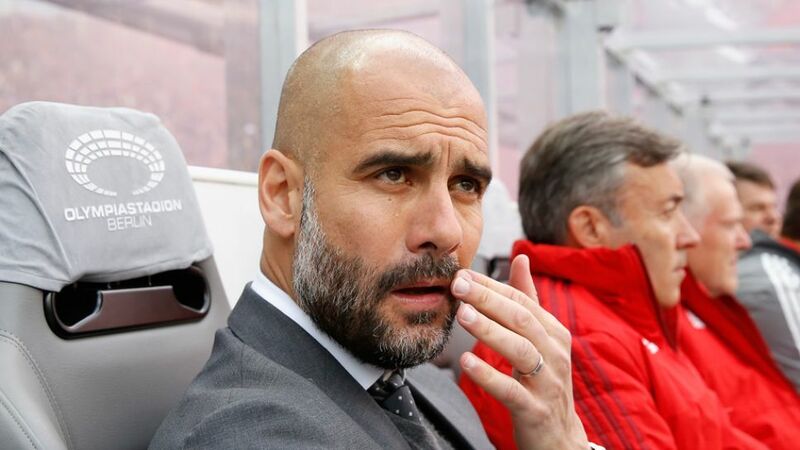 Pep Guardiola (FC Bayern coach): "It was an uncomfortable game for us. The first half was very difficult. The first goal from Arturo [Vidal] was very important for our confidence and our general play. After that we didn’t concede any chances. We now have things in our own hands. We still need one more victory. I hope we put in a good performance next week and become champions!" Mario Götze (FC Bayern midfielder): "The coach tweaked a number of things at half time. We know we didn’t play that well in the first half, but it’s not easy against such a deep-lying opponent, especially away from home. Even so, we’ve got the three points and taken another huge step [towards the league title]." Pal Dardai (Hertha coach): "We could have taken more from the game today. We were the better team in the first half, were more aggressive and won a lot of second balls. In the second half we wanted to pick up where we left off, but Bayern’s first goal came a bit too quickly. We weren’t able to put enough pressure on them after that, and the second goal finished the game as a contest." Mitchell Weiser (Hertha midfielder): "We were missing a little bit of luck today. In the first half in particular we were very, very good and had three or four opportunities which we could have made more of, if we’d been a little more ambitious."